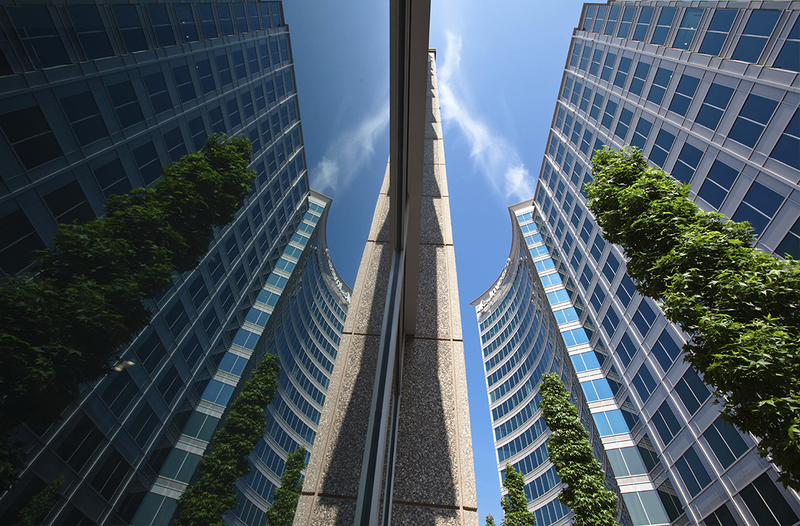 Throughout its history, Dewberry Group has created a number of market-leading investments in the office and workplace sector. 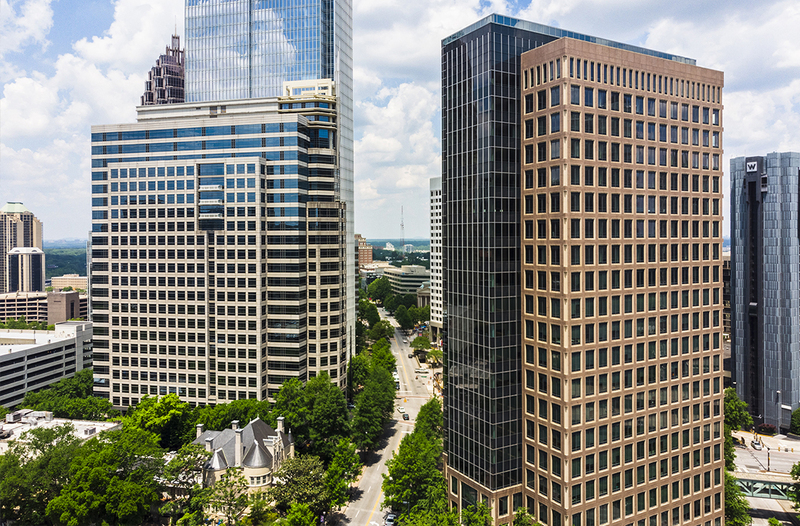 Dewberry Group strengthened its office portfolio in 2010 with the purchase of Campanile, a 21-story 460,000 square-foot Class ‘A’ office tower that was originally opened in 1987 as the headquarters for Bell South Corporation. 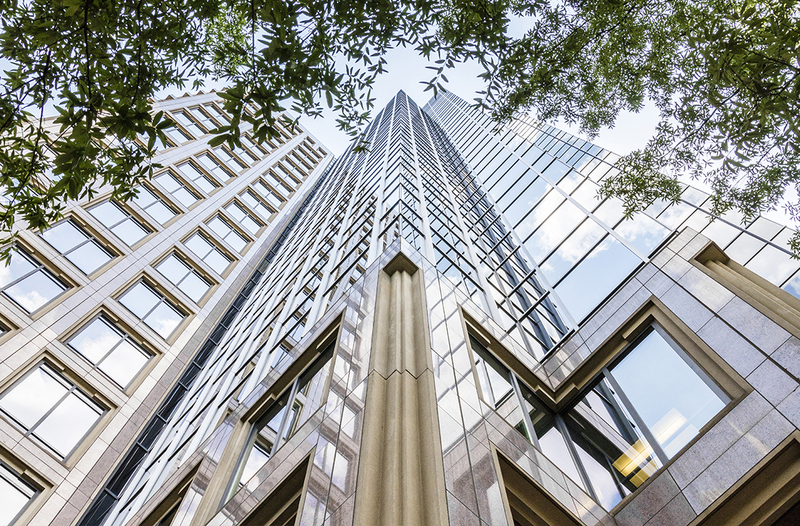 Located at one of Atlanta’s most highly sought-after urban locations at the corner of Peachtree & 14th Street, today Campanile remains a landmark of the Midtown skyline. Following Dewberry Group’s 2010 purchase of the building, Studio Dewberry and Cameron Stewart Design collaborated on its renovation, winning the international CODAworx award for design and art in a commercial space in 2013. Campanile’s grand lobby and common area have been refurbished with sleek glass entrances and furniture. 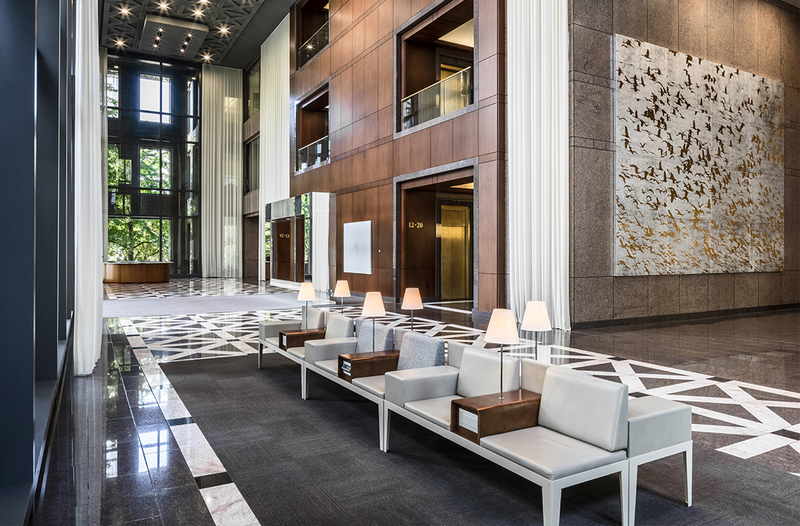 While modernizing the building, however, Dewberry Group maintained its focus on preservation and thus salvaged much of Campanile’s irreplaceable stone, brass and wood finishes. In addition to the extensive capital improvements made to the office tower, Dewberry Group now plans to utilize the building’s premier Midtown location by adding approximately 45,000 square feet of two-story glass box retail to serve restaurants and retailers who demand only the best location. Simultaneous with the retail expansion, Campanile will be crowned with four new office floors delivering an additional 100,000 square feet of Class A office space. With Campanile’s growth to 605,000 square feet, it is now poised to become one of Atlanta’s top 25 largest office buildings. 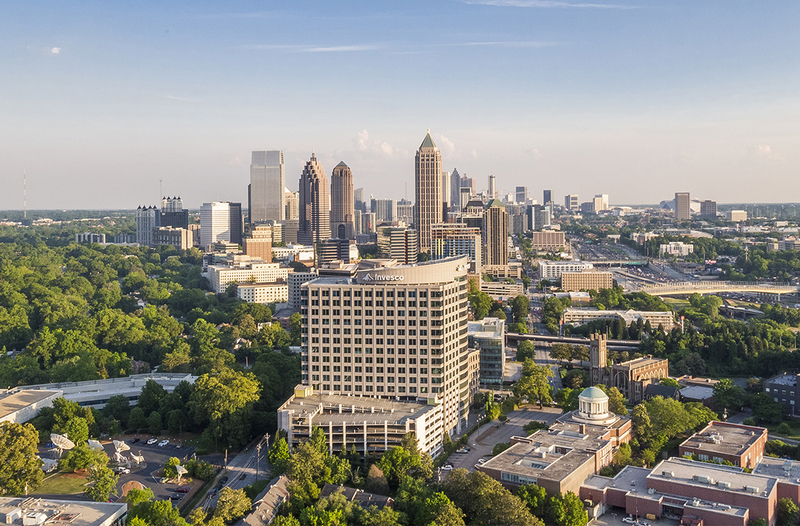 Located centrally within Atlanta’s ‘Heart of the Arts’ district, Campanile is a short stroll to famed cultural amenities including High Museum, Fox Theater, Atlanta Symphony Hall, SCAD, Piedmont Park and the Atlanta Botanical Gardens. Peachtree Pointe is a 475,000 square foot 3-building office-focused mixed-use project in Uptown, Atlanta. Dewberry Group delivered One Peachtree Pointe in 1999, a 160,000 square foot Class ‘A’ office building. In 2008, after tremendous success with One Peachtree Pointe, Dewberry Group completed construction of Two Peachtree Pointe, a 295,000 square foot Class ‘A’ office building. 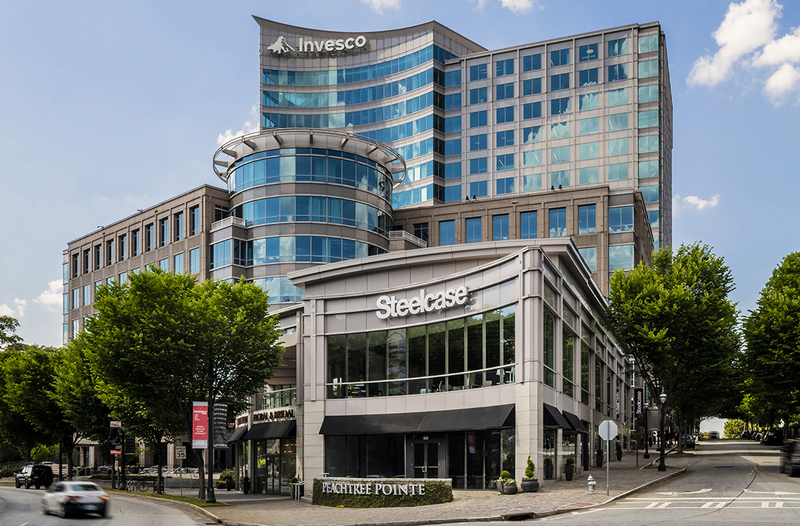 Peachtree Pointe is home to global investment firm Invesco’s world headquarters. Joining Invesco are internationally known firms Greystar, Steelcase, Shaw, Sotheby’s, Dentsu and Rosser International. 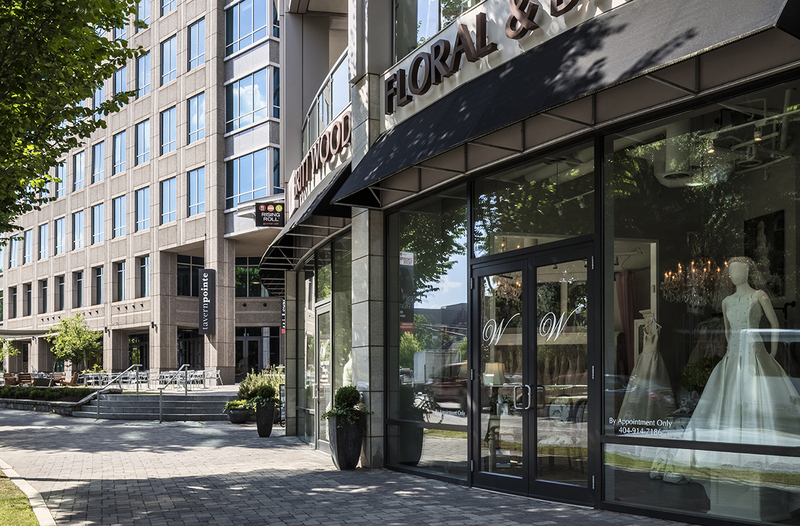 In addition to the two office buildings at Peachtree Pointe in Uptown, Atlanta, Dewberry Group opened Gallery Uptown in 2008, a two-story, 20,000 square foot boutique retail center. 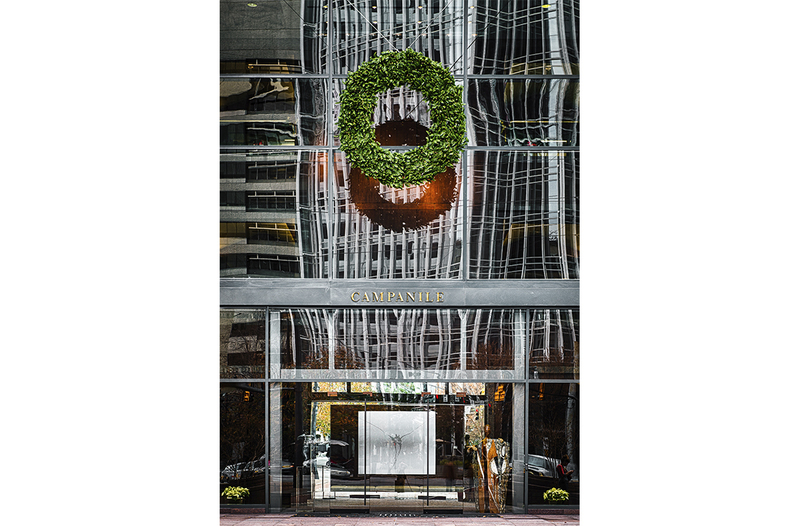 With spectacular frontage on Peachtree Street, Gallery Uptown has attracted some of Atlanta’s most desirable retail tenants. 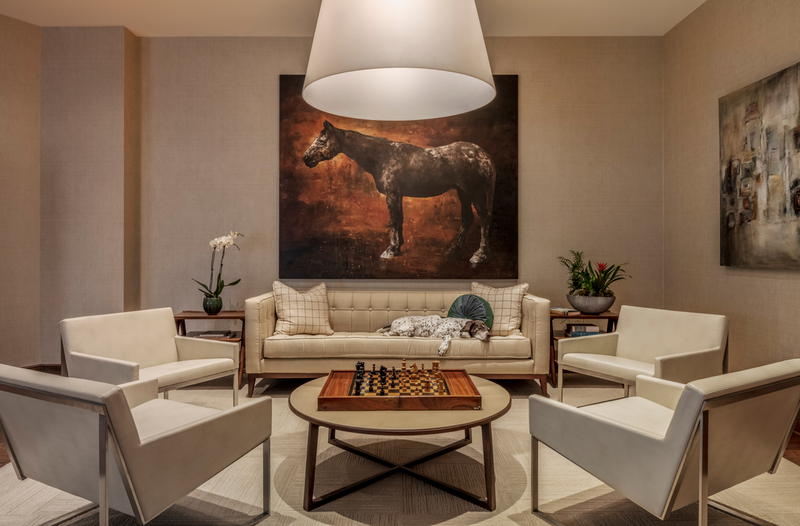 Peachtree Pointe truly is the “pointe” of interest in Uptown offering upscale amenities including eateries, retail, the Synchronicity Theatre, fitness center, auto detailing, and shoe shine services. Peachtree Pointe, built in 3 phases, is the 1st component to Dewberry Group’s Uptown Atlanta development plan. Ansley Park, established in 1904, was the first suburban neighborhood in Atlanta and housed the Governor’s Mansion from 1925-1968.